Sinas Dramis Law Firm has come a long way since it was established in 1951. From a modest, two-attorney operation, Sinas Dramis Law Firm has expanded greatly over the years. We now have locations in Lansing, Grand Rapids, Kalamazoo, and metro-Detroit, as well as Chicago, Illinois. With convenient locations, we assist clients across the state of Michigan and throughout Chicago in their personal injury, auto accident, bicycle accidents, and family law matters. While our firm has grown tremendously over the years, we remain true to our mission. We proudly provide expert legal representation and educate the public about their rights under the laws that govern our everyday lives. Located within minutes of downtown Lansing, East Lansing, and Okemos, our main office is located at 3380 Pine Tree Road, Lansing, MI 48911. Close proximity to the highway makes our office easy to reach whether you’re visiting us from anywhere in mid-Michigan or even further away. Our office is wheelchair accessible and features free parking. Our Lansing personal injury lawyers and family law attorneys, as well as our knowledgeable staff, are dedicated to representing the people of Michigan in their personal injury, auto no-fault, bicycle and family law claims. We carefully handle motor vehicle accident cases near Lansing and beyond, as well as semi-truck collisions, motorcycle crashes, and other personal injury claims. Our Grand Rapids office opened in 2013 and, due to our tremendous growth in West Michigan, recently relocated to 310 Fulton Street East, Grand Rapids, MI 49503 to better serve our clients. Our Grand Rapids personal injury attorneys are dedicated to providing high-quality legal representation with the utmost respect, expertise, and integrity. A few of our areas of expertise include Grand Rapids auto accidents, semi-truck cases, and bicycle accident cases, to name a few. Our attorneys also enjoy giving back to the community by educating the people of West Michigan about their legal rights and holding our firm’s annual West Michigan bike helmet event, Lids for Kids, where we give away bike helmets to children to promote bicycle safety. 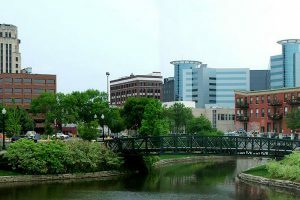 With two major thoroughfares – I-94 and US-131 – Kalamazoo and surrounding communities are always abuzz with activity. In 2019, we opened our Kalamazoo office to best serve residents of this area with exceptional personal injury services in Southwest Michigan. Led by seasoned attorney and longtime Kalamazoo resident, Steve Weston, our Kalamazoo office is ready to represent clients with an array of personal injury matters, including injuries from auto accidents in Kalamazoo, burn injuries, and traumatic brain injuries, to name a few. 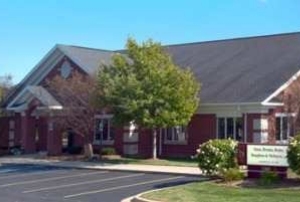 Or Kalamazoo office is conveniently located near I-94 at 4000 Portage St., Suite 110, Kalamazoo, MI 49001. 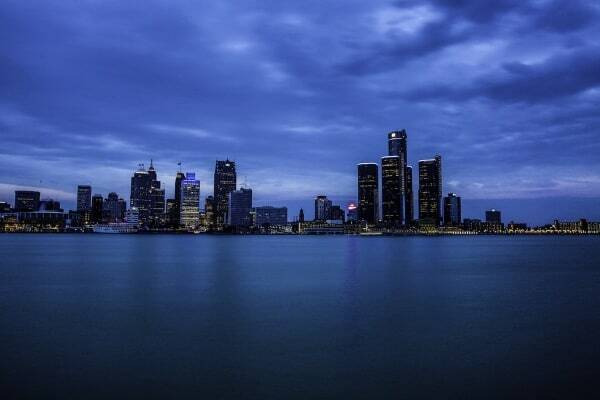 As Michigan’s largest city, Sinas Dramis Law Firm recognized the need to expand its presence and personal injury services to metro-Detroit in early 2019. As the birthplace of America’s automobile industry, Detroit car accidents are on the rise, and the need for skilled and experienced representation is apparent. Led by longtime metro-Detroit resident and seasoned Michigan personal injury lawyer, Brian McKenna, Sinas Dramis Law Firm’s fifth office is located at 24825 Little Mack Ave, Suite 200, St. Clair Shores, MI 48080. We are now easily accessible to residents of the area and ready to assist in an array of matters, including Detroit car accident cases, at-fault driver and auto no-fault PIP benefit claims, and other personal injury matters. Less than three hours away from our Grand Rapids office is our Chicago office, located at 77 W Wacker Dr., Suite 4500, Chicago, IL 60601. 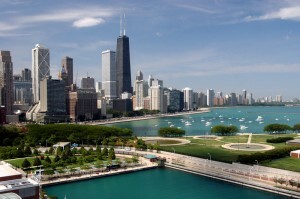 With two attorneys licensed to practice in Michigan and Illinois, our Chicago location allows us to serve the people in the greater Chicago area. Our Chicago personal injury attorneys have handled car accidents, fatal accidents, semi-truck accidents, motorcycle accidents, bicycle accidents, road defect accident claims, slip and fall cases, dog bite cases, nursing home abuse cases, as well as brain, spinal cord, amputation, and burn injury cases. 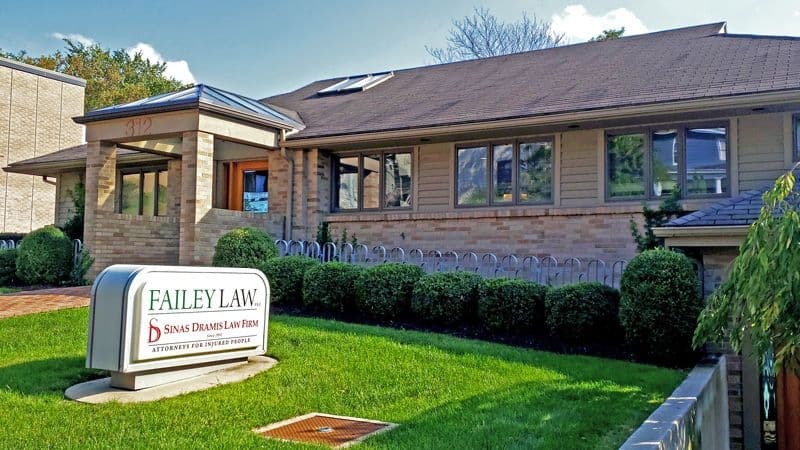 With Sinas Drams Law Firm locations throughout the state of Michigan, as well as Chicago, we are easy to get to for those who need us most – the seriously injured and their families. You can call us at 866.758.0031 or request a free initial case review with a skilled and compassionate Michigan personal injury attorney.